(2) Before and after school (Grades K-6). Our staff works with parents to meet each child’s cognitive, emotional, social, spiritual and physical development needs. 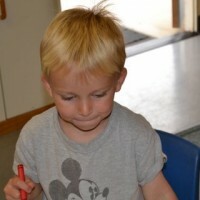 We emphasize the growth of each child’s sense of self-confidence, wonder and self-worth. 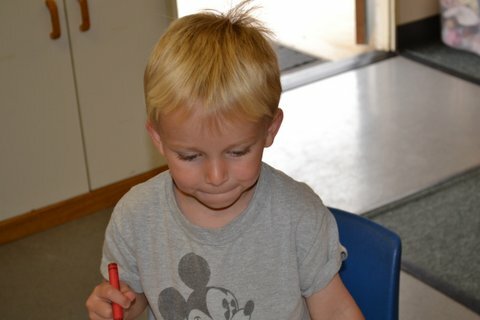 Our preschool curriculum includes pre reading, writing and math, as well as science, art and outdoor activities. The curriculum builds from one age group to the next so that students who complete the 4-5 year old class are ready to enter kindergarten and succeed in school. 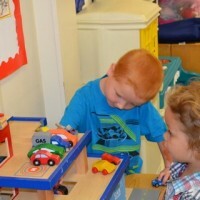 During the summer the preschoolers review and enrich their school year learning. Elementary school age students do homework, recreational and craft activities after school during the school year but switch to a camp with weekly themes during the summer. In both age groups, students work with fully licensed, CPR trained teachers. Children participate in a chapel experience each week with a Religious Studies teacher and our pastor. It introduces students to Bible stories and songs as well as other ethical teachings. Students practice caring for others not only in the classroom but by doing community and world-wide social service projects. These include a Halloween Parade at Atterdag Village and reading with its residents, art for people “needing a smile,” letters to our troops and Lights for Ghana. Bethania Preschool & After School Care began in 1987 at Bethania Lutheran Church to meet working families’ needs. We are open from 7:30 a.m. – 6 p.m. throughout the year. Our experienced, caring staff includes our director, Eileen Knotts; six teachers, and two teacher’s aides. Bethania is the most comprehensive program in the Santa Ynez Valley. We are delighted that our students represent the Valley’s wonderful diversity. 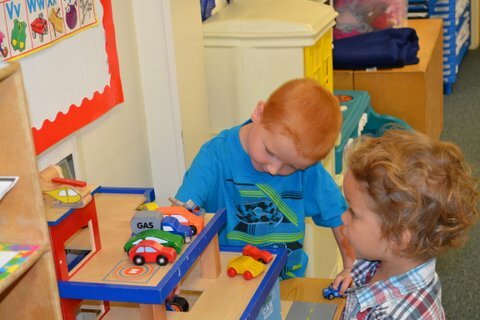 Want to contact the Preschool and After School directly? By email: bethaniaps@verizon.net, by phone 805-688-7077, in person or by mail 611 Atterdag Rd, Solvang, CA 93463.